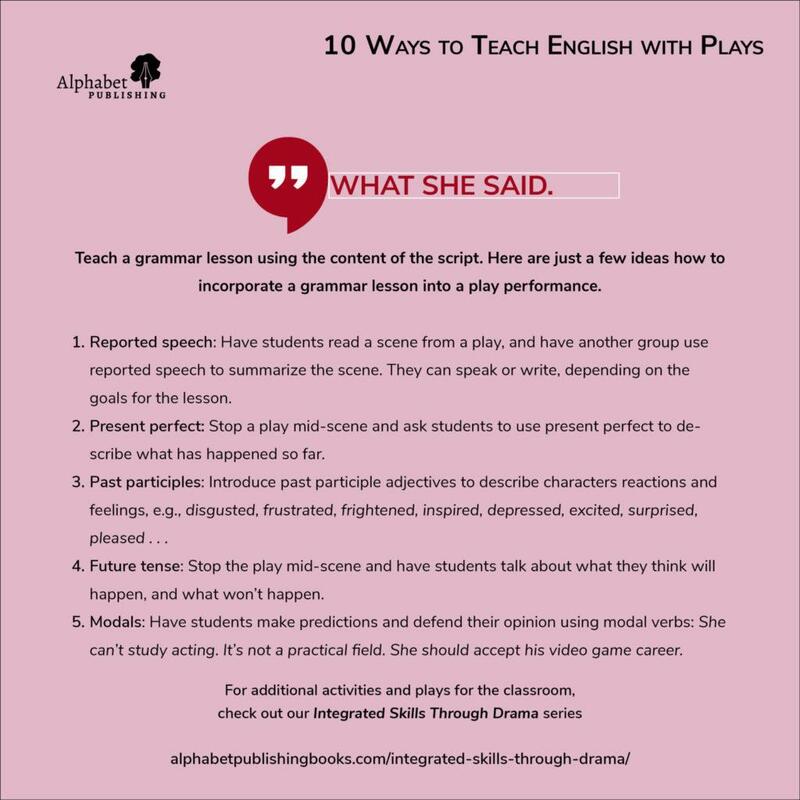 Why teach English with plays? Plays are a natural resource for the English language classroom. 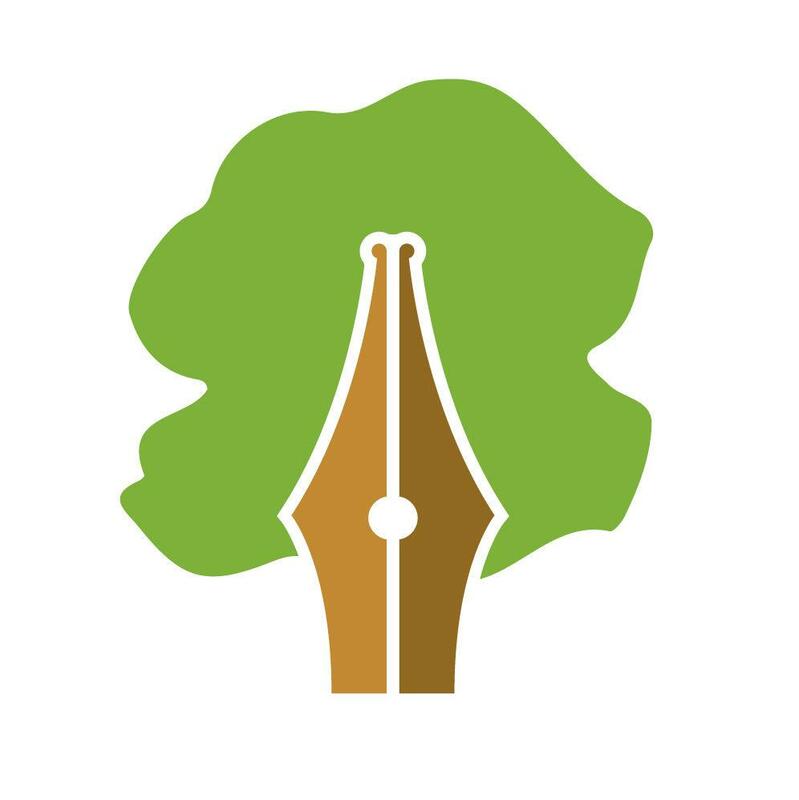 They offer opportunities visit and revisit language in action, particularly if the play was written in natural dialogue. Furthermore, when students read an informational text, or even a short story, they aren’t always thinking about communication beyond the words. However plays are written to be spoken. That means playwrights must consider how their lines will sound out loud. That’s why plays reveal insights into the way speakers use fixed expressions, intonation, and gesture to convey feelings or wants, and to navigate relationships. And they do so more effectively than other texts. 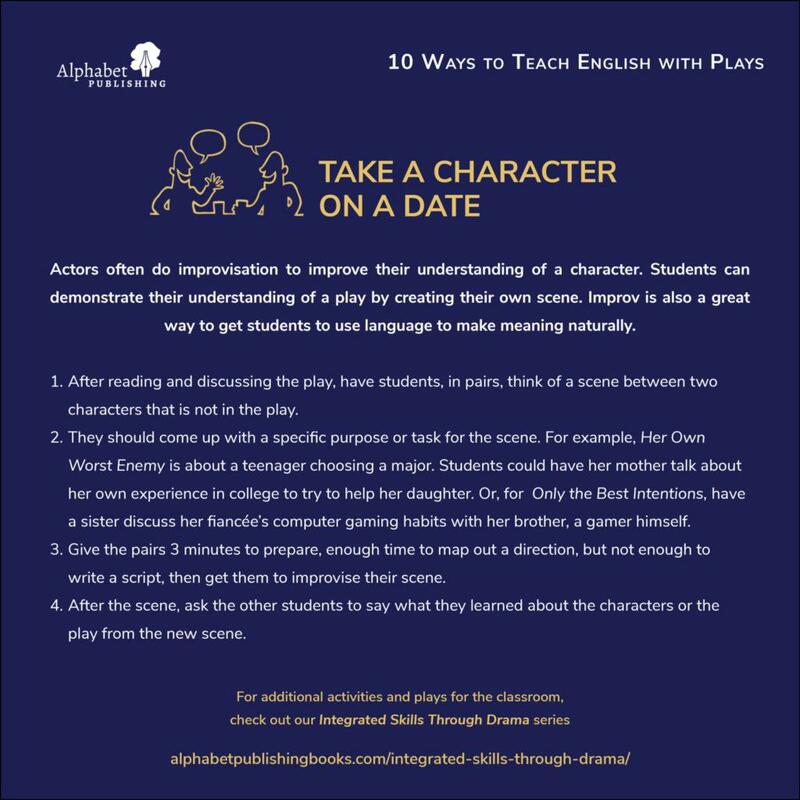 What’s more, producing a play, even in readers’ theater format, helps students loosen up and feel more confident “playing” with English and its many possible meanings. When students know what they are supposed to say, they can focus more on how to say it. In fact, when students have a script, they can practice different ways of saying the same line and explore how the meaning changes. Finally, producing a play can bring a motivating and much-needed sense of fun to the classroom. 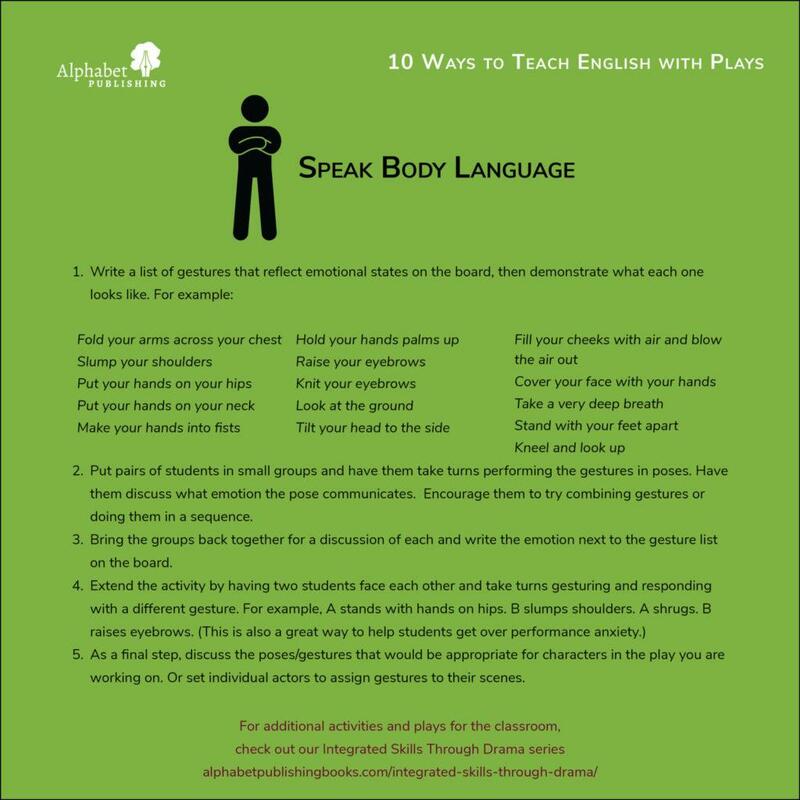 Alice Savage, author of the Integrated Skills for Drama series, has written 10 ideas for extending the content or language of a script into a lesson. And we’ve turned them into images that you can download, print out, and add to your teacher room or classroom wall. The activities can be used in any order and can suit a variety of goals. Some help students overcome insecurities about speaking and performing. Others foster critical thinking and writing skills, and some help ground pronunciation or grammar work in a relevant context. Pick and choose, adapt, and modify.